I Never advertise on Craig's List! I have no HomeAway or VRBO bookings in 2019 season, not listed on those sites. I would never ask to have a wire transfer for payment. All leases processed through a New Jersey Licensed Real Estate company. All rates quotes are full and include taxes and fees. I pay a fee to Realtor to process and lease(s). 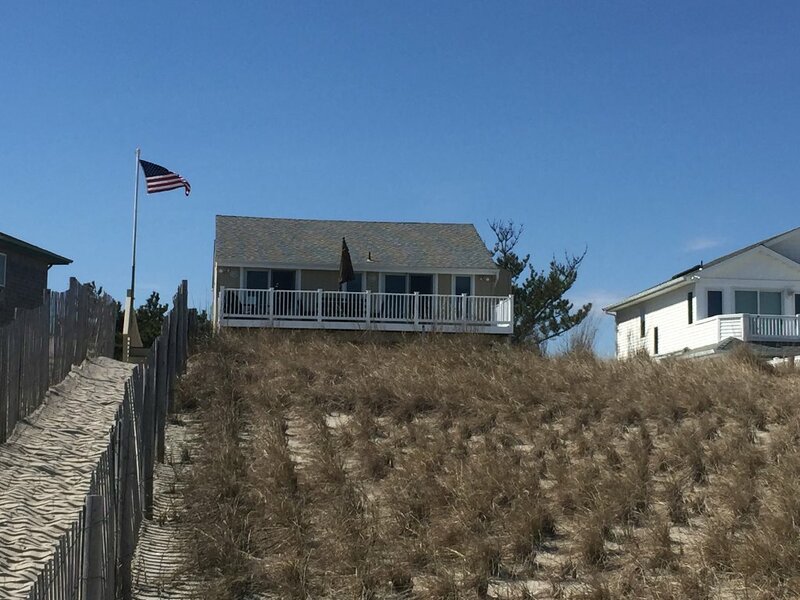 The property offers direct access to Ocean thru private walkway over the dune. The house is a single family home. The house has Central A/C and gas heat and fireplace and two zones of baseboard heat. In 2015 the house had a new Central A/C and central heat system installed. In late 2016 a 24,000 Btu split AC system was added to the 3rd floor. In Jan 2017 the central heat/AC system has been optimized and a thermostat was relocated between 2nd and 3rd floors and addition vents were added to the 2nd floor. 2018 with had a new Natural gas boiler and two tank- less water heaters installed. 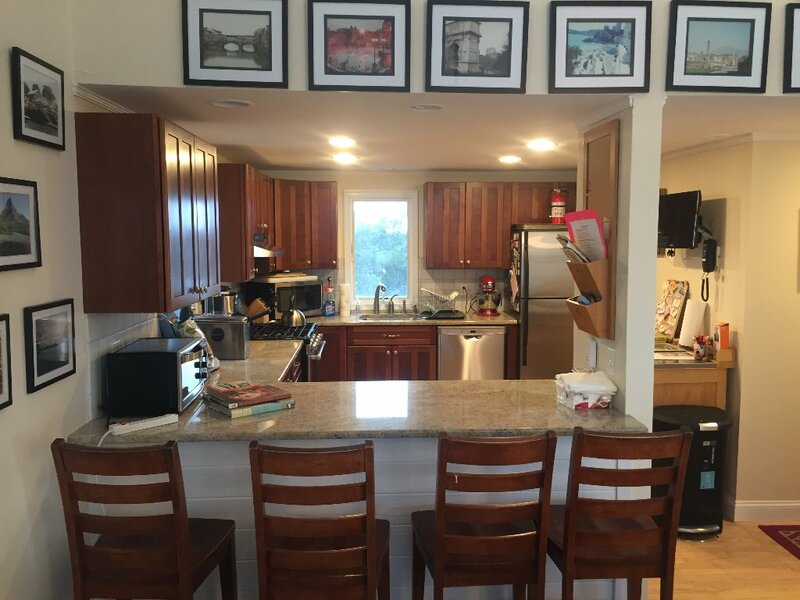 The house layout is reverse living and has a kitchen and living room with a wonderful view of the ocean on the 3rd floor with a 1/2 bath renovated in Jan 2018. In Jan 2017 the 3rd floor was renovated, new vaulted ceiling, additional ceiling fans, painting, and new carpets. 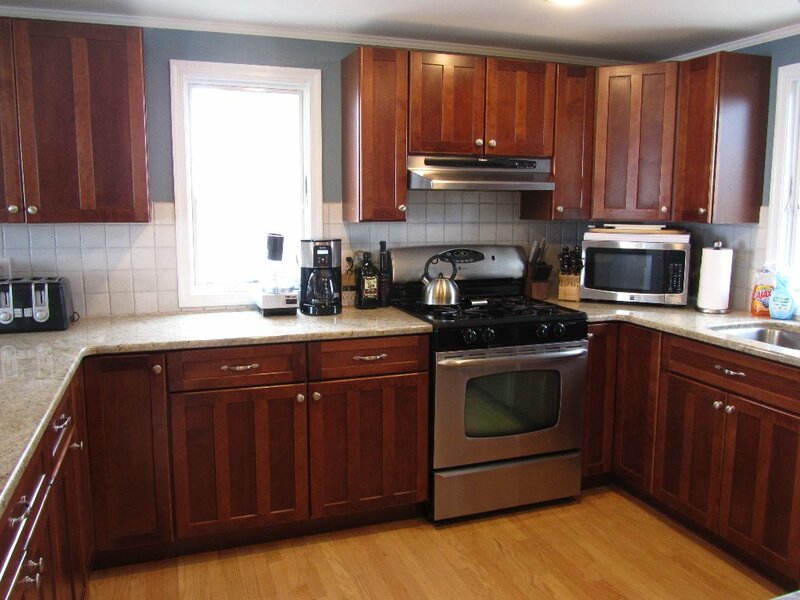 A new kitchen with granite counters, hardwood floor, and stainless steel appliances. Comfortable living space freshly updated. Renovated Full Bath in 2016 with a large soaking tub and showers combo. 3 bedrooms and 2 full bathrooms and a laundry room on the 2nd floor. 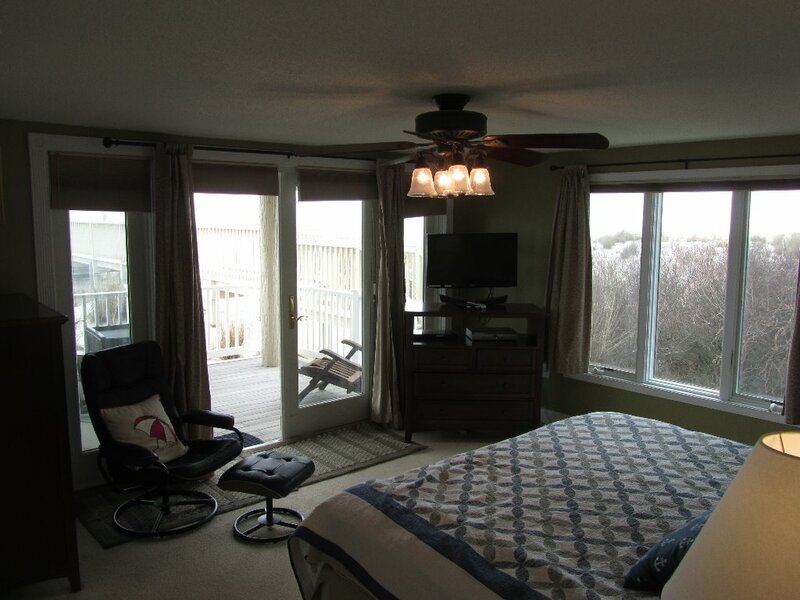 Master bedroom with private deck facing the ocean and for 2015 a fully renovated Master bathroom. First-floor bedroom - studio set up on the first floor with queen bed, twin daybed and pull out queen sofa (room sleeps 5). All 4 bedrooms painted and new rugs in all 4 bedrooms in 2014. New LG Front loading Washer Natural Gas Dryer. New Maytag stainless steel dishwasher. A new Maytag 5 burner stove and convection oven were added Fall 2016. 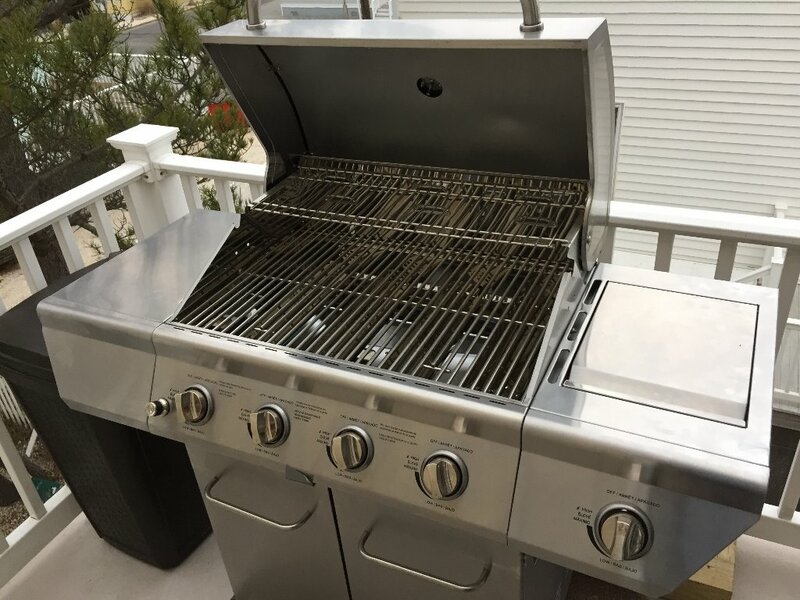 2018 brought a new natural gas boiler and two tankless water heaters ( green natural gas energy) Wonderful views from three decks and two picnic tables. A new vinyl railing on 3rd-floor deck facing the ocean. New fiberglass deck installed for small Sunset porch on the 3rd floor. There is an outside shower with hot and cold water. On this VRLBI page, there are 24 pictures of the house and a full YouTube video of the Outside view of the house and beach and the entire inside of the property with views out windows. It is located near restaurants, miniature golf, pharmacy, ice cream store, pizza parlor, liquor store, food stores, parks, and other conveniences. No smoking, no pets ( No Exceptions). There is a $750 refundable security deposit. Call now. Weeks listed are only weeks not rented, the house only rents by the week in May thru September. We will rent weekends and holiday's October thru April. I only will rent by the week during the summer. FOR FASTEST RESPONSE Fill out e-mail request and list both your email and telephone number, and we will send booking info. The email information will be used to return email for the booking process.  CALL 845-781-0664 Joe with any questions on house, property or the booking process. Rental Sat to Sat 2 pm check-in, and 11 am check out. Our standards of professionalism and service will not change. 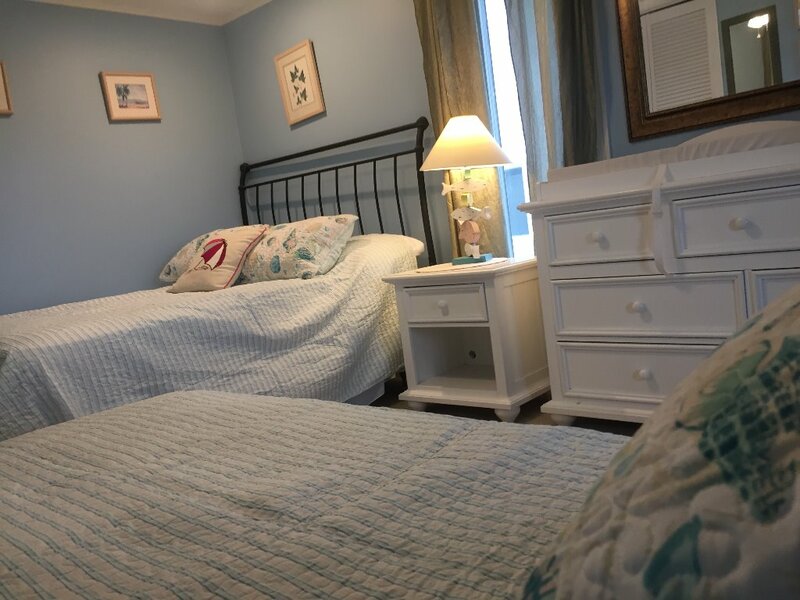 Our Lbi beach rental will still be your home away at the beach. You will be able to reach us for any concerns. Thank you in advance for renting with us. 2017 is the 18th summer that we have rented the house out. House , 20,074.69 sq. f.
Me and my old high school buddy do this annual Summer LBI vacation for many years now bringing down our young families. We have stayed in several different houses over the years. But no house has fit our group as perfect as this one! Both of our families have children each five years or younger and the house worked well for them. The House is really geared towards Young families given the manageable staircase, ample play area, and multiple rooms. The deck was just the right size. The right amount of furniture was available for us to relax in. And the beach was just steps away. We spent our days waking up to Coffee and pancakes on the deck, morning walk on the beach, and home cooked meals for dinner on the deck. And of course in true LBI fashion we had plenty of minigolf and ice cream just a few short blocks away by foot!. Again it was perfect for us! 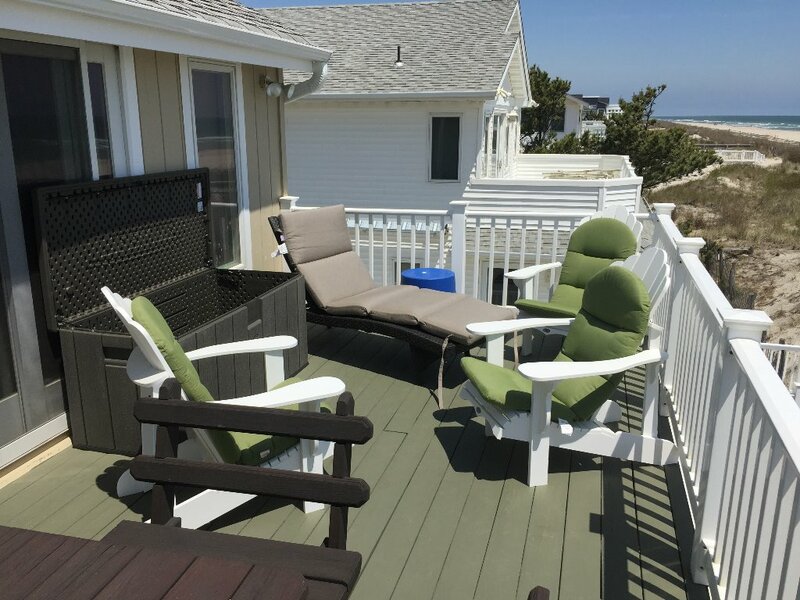 Our family has been vacationing on LBI for over 20 years, yet it was no surprise when this beach house was unanimously selected as the best ever. Its ideal location afforded each of our 3 generation family the opportunity to adapt beach time to what they enjoyed most. Having the private walkway was ideal as were the terraces overlooking the beach. Inside, the extremely well maintained home was comfortable, beach oriented and filled with virtually every amenity. Joseph Schmittler, the owner, is wonderful to work with and definitely seeks to insure the comfort of his renters. We are looking forward to returning next summer. Fantastic oceanfront property with all the amentities for your own “family” dream vacation! Oceanfront home with private beach access fully accessorized with beach supplies including chairs, beach cart, toys and more. TV’s in almost every room, four refrigerators (two full, two small), wonderful Master’s suite, and multiple guest rooms; fully stocked kitchen with utensils and cookware galore; clean and updated, refrigerated air throughout, and a wonderful family room with an outdoor deck overlooking the ocean with tons of space. It’s definitely a destination and entertainment spot for your entire family, or your favorite friends. No more worries about bringing your own beach chairs and supplies - they’re already there! 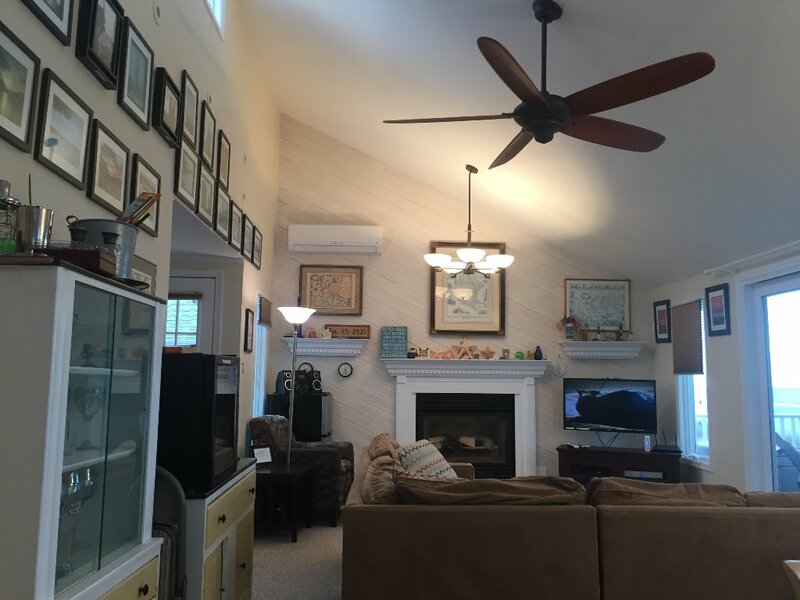 The decor and artwork is a mix of beach themed reminders to “relax, enjoy, and recover”; nautical history and maps, and framed photo prints from around the globe. Close-in to restaurants, bakeries, coffee shops, the 5 and dime, and more. All are within walking or biking distance, or a short drive. Beach badges are furnished for in-season beach access. 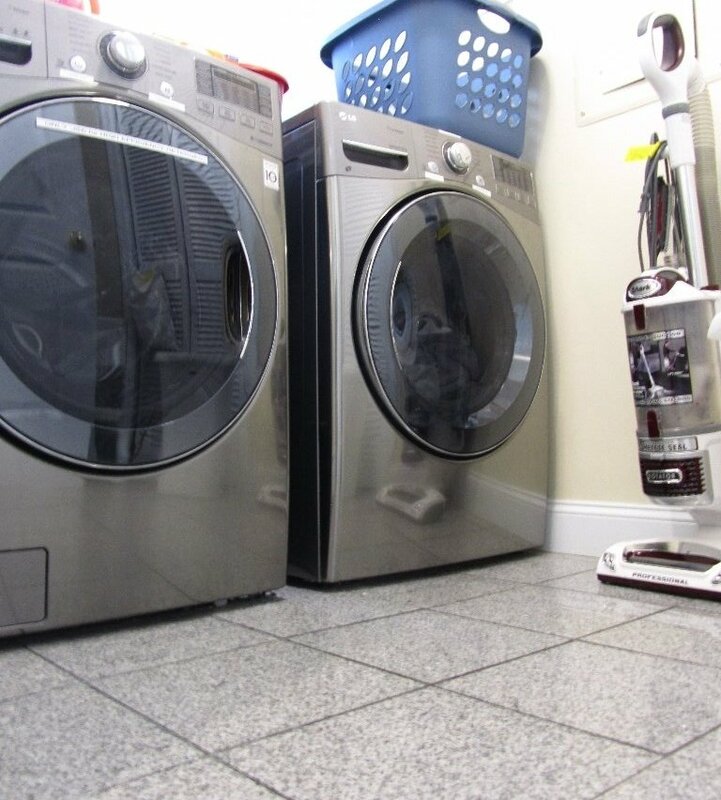 Updated washer and dryer are available so you can limit your clothing list. The landscaping and property upkeep are exceptional. It’ll be a vacation to the beach where memories and photos will last forever. And it’s oceanfront! You can’t beat it! This summer was our 17th year in a row of staying at this property. I can not speak highly enough of the owner, who continues to pour money back into the house every year. He is very responsive to any suggestions, and is as nice as can be. The house and it's location on the beach are perfect. Having our own private walkway on & off the beach is a huge bonus. 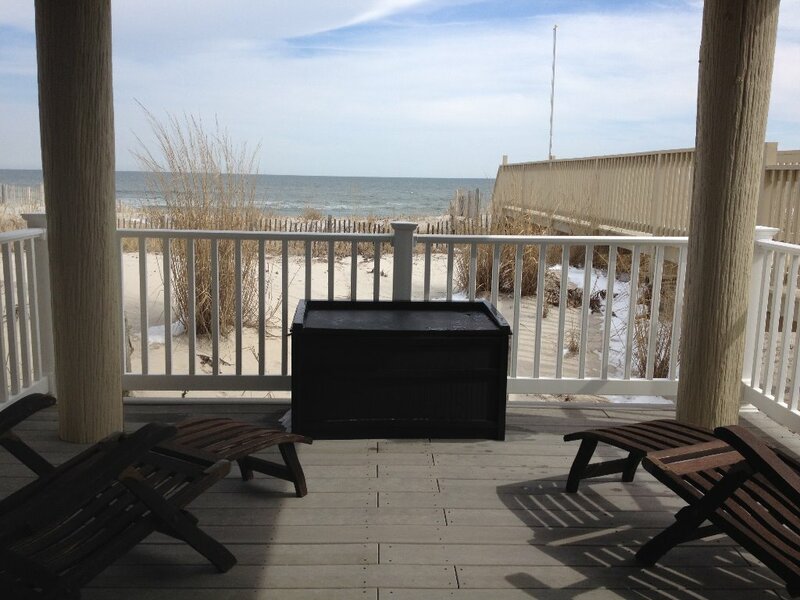 And there is no better balcony for sitting, relaxing, and enjoying a spectacular view of the beach & the ocean. Would highly recommend. We have been vacationing in LBI for years, and always pick a different spot. 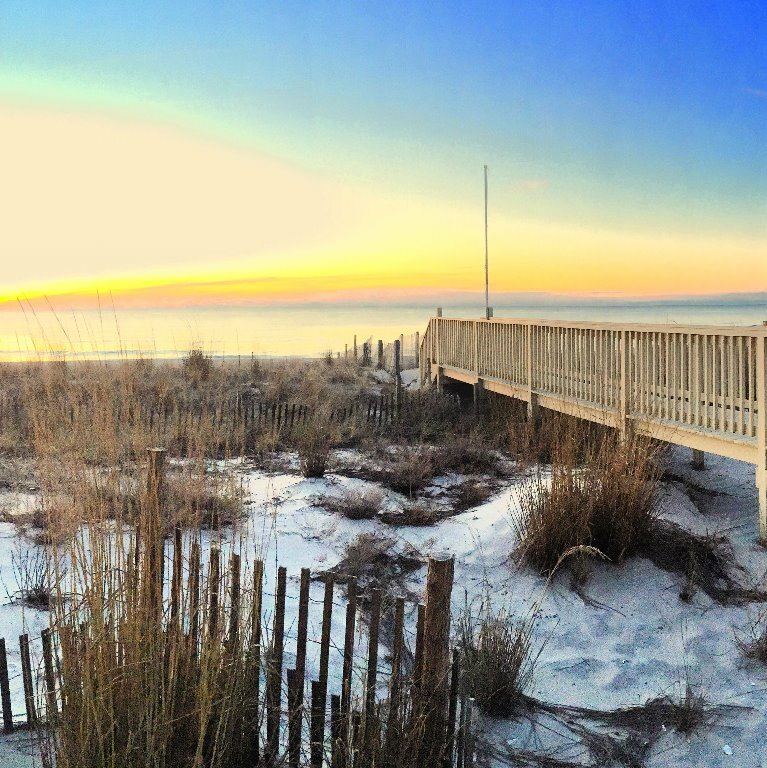 This oceanfront beauty does NOT disappoint. Extremely well maintained...and the most stocked beach house I have EVER rented. You seriously will want for nothing here and at least 1/2 of the supplies I brought with me I could have left at home. There are even kid friendly touches like gates and a high chair. The views are amazing and really the pictures do not do them justice (and the pics and videos the owner has are amazing...so imagine what those views really look like). 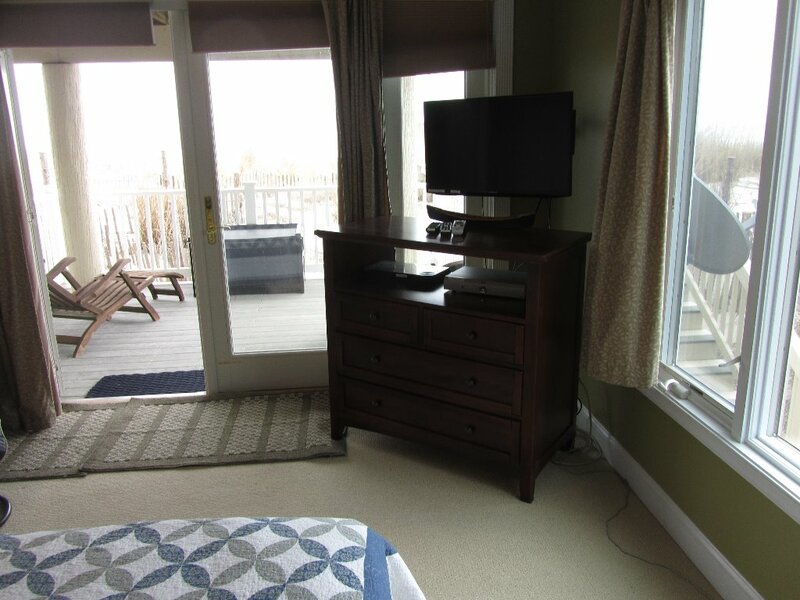 It's rare to get ocean views from both the entire living space and bedrooms in LBI because of the dunes. We normally leave the home a lot more than we did this week, because the views were just amazing we ate home almost all week! 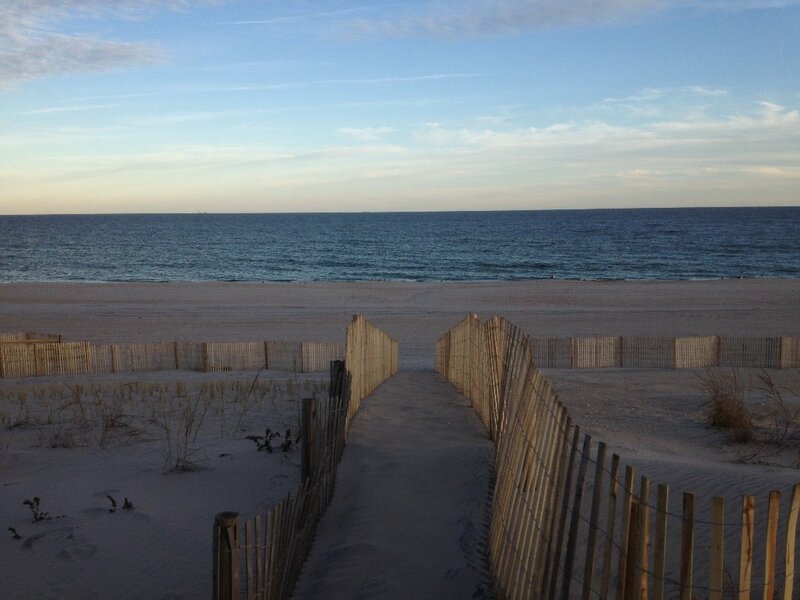 Location in LBI is ideal bc it is close to the causeway and also short rides up or down the island. It's within walking distance to many shops, restaurants and other amenities. There is even a great park on the bay and the library only a few blocks away. The owner is meticulous and leaves detailed instructions on all the major systems in the home. Their pride in ownership definitely shows and they are actively involved in maintain, upgrading and managing the property which is a huge plus (plus they use a relator for piece of mind). Washer and dryer are brand new and very efficient. 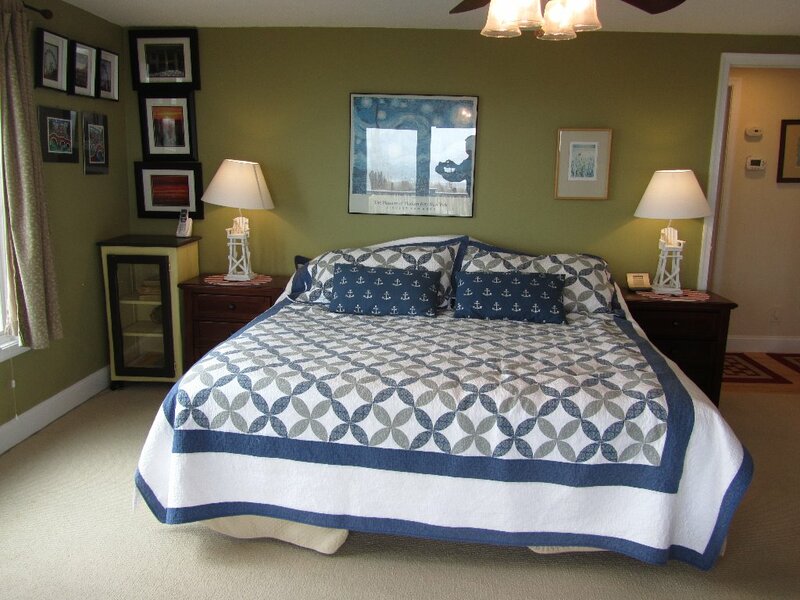 Setup is great with the ground floor bedroom nice for family members who like a little privacy! Parking is tight, but if that's the only "complaint", you are doing it right! Oceanfront with your own walkway is seriously the only way to go - and once you stay at a property with this type of access, you will not want to stay any other way. 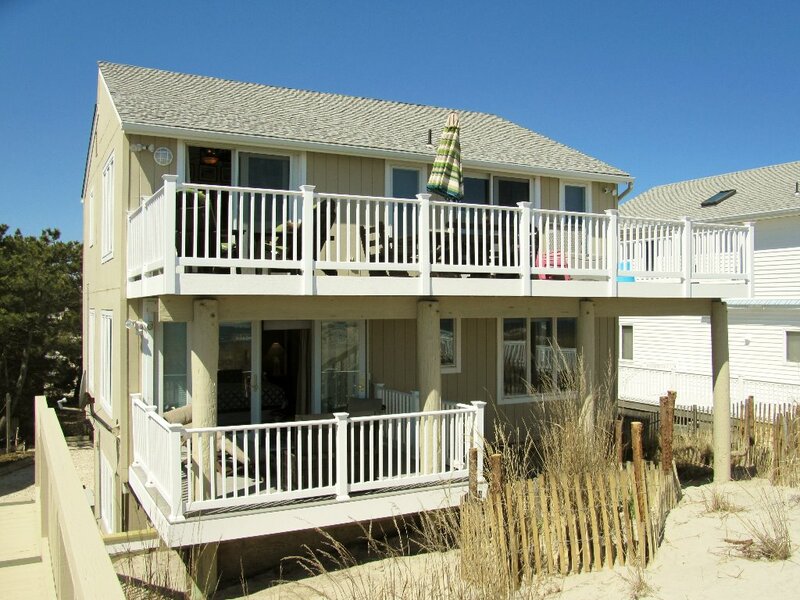 Pricing is in line with other LBI rentals that aren't even oceanfront, which is awesome. 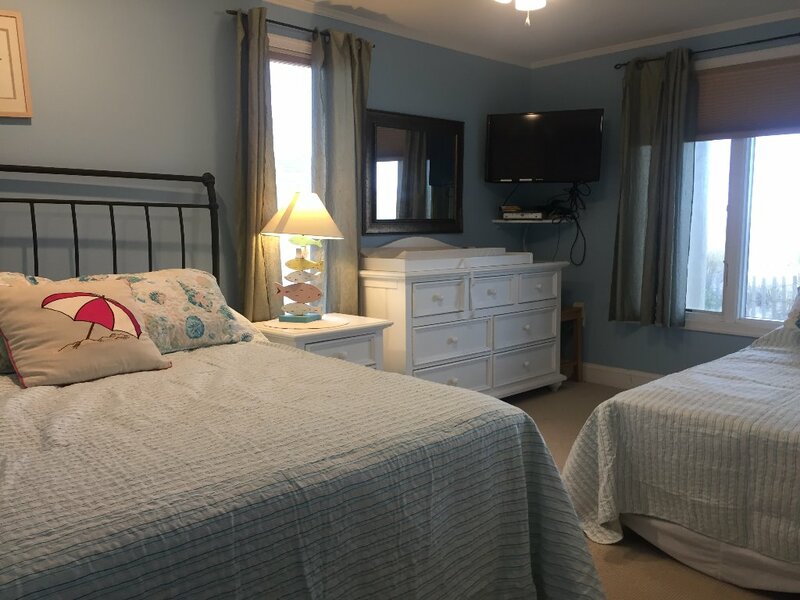 Overall, we had a great experience here and if we return to LBI for our yearly vacation, we will absolutely choose this home (only reason we wouldn't is to try a different beach all together, which we sometimes like to change it up!). 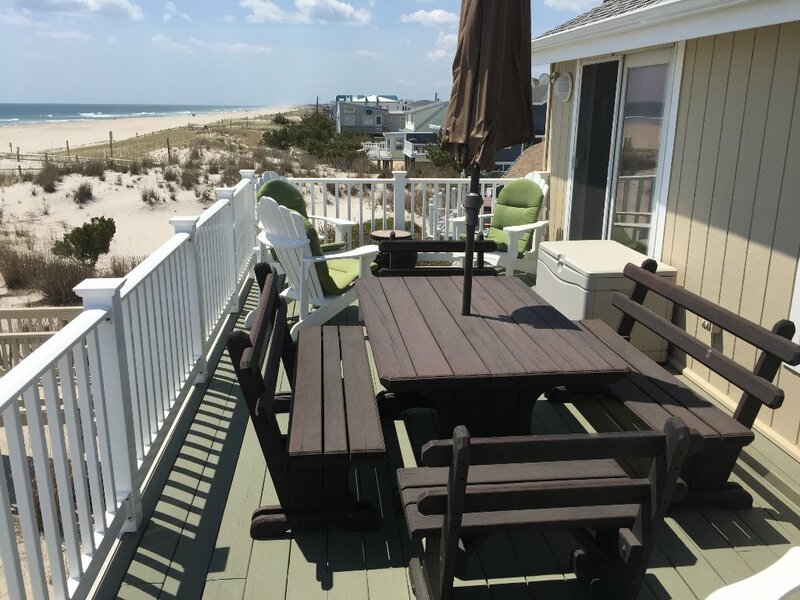 We would absolutely recommend this property to anyone looking for a place in LBI. Thank you Joseph for opening your home to us!